This is the 2018 Mazda 6 sedan, facelifted and improved to give it a more refined and premium feel. The test unit is the diesel variant (there are also two petrol engine variants in sedan and touring form) and is the only diesel sedan currently available in Malaysia. All Mazda 6 variants are fully imported. 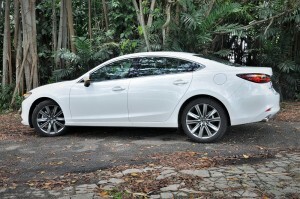 As this is a facelift, the 6 keeps a familiar look. 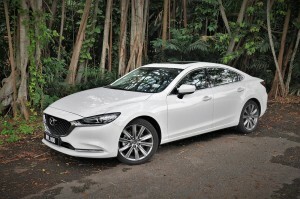 It is ‘same same but different’ in a good way. 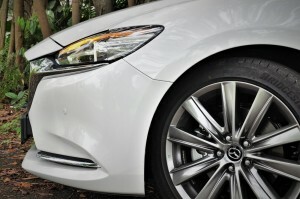 Still sporting the company’s KODO aesthetics of employing simple flowing lines for the sleek, athletic look, the apparent changes are the reconfigured adaptive LED headlights (with integrated fog lights) and tail lights, daytime running lights, front (with air vents) and rear bumpers as well as the front grille design and chrome grille surround which now stretches under the headlights rather over it. 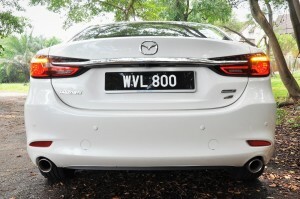 Likewise, the chrome trim on the boot lid now has a downward kink and splits the tail light cluster. 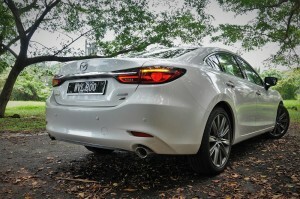 This gives the rear a wider and more planted look. 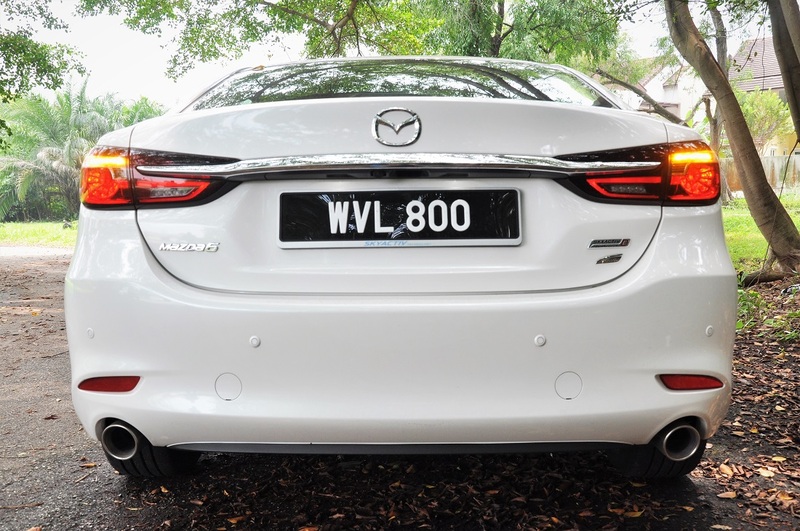 The twin tailpipes have also been mover ever so slightly to the outer edges of the car for the same effect. 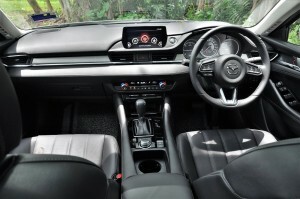 The dark interior has been given a bump in premium feel with soft-touch material and minimal use of piano black trim to reduce the sight of smudges. 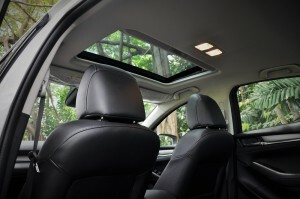 The dark interior might seem claustrophobic but enough light is let in by the glasshouse, and if necessary, the sunroof. Thicker door panels and glass as well as improved seals help to insulate the cabin from outside noise to keep with the premium feel. 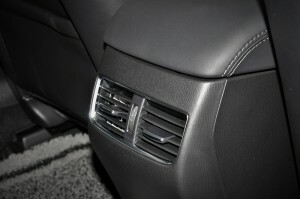 The leather seats are perforated, and like the door cards, centre console and dashboard, have contrasting light-coloured stitching. 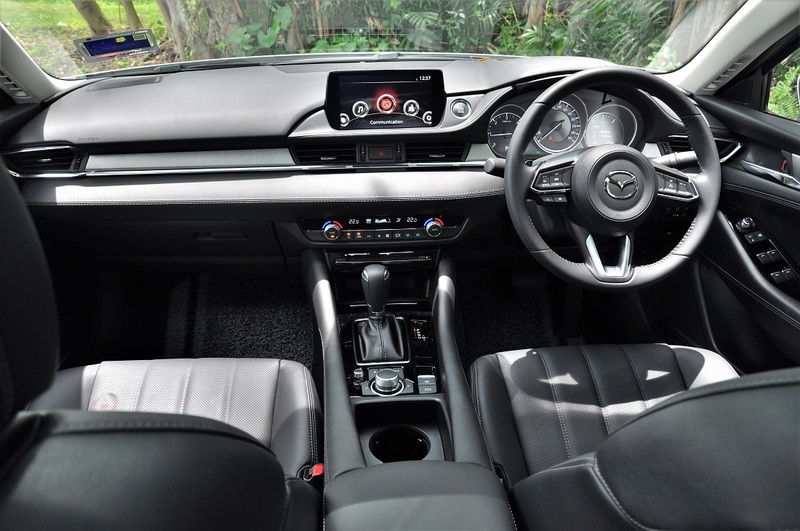 The driver’s seat has a 2-position memory and 10-way powered adjustment while the front passenger seat gets a 6-way power adjustment. 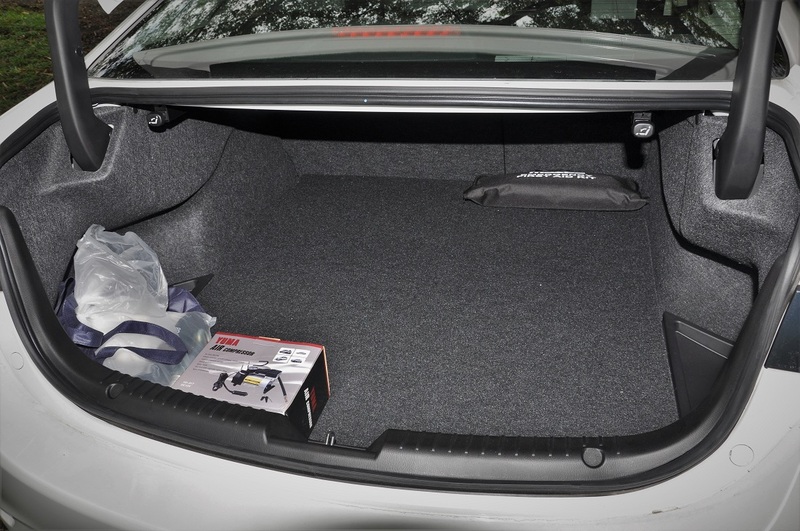 Since this is a D-segment car, rear legroom is as comfortable as the seat. 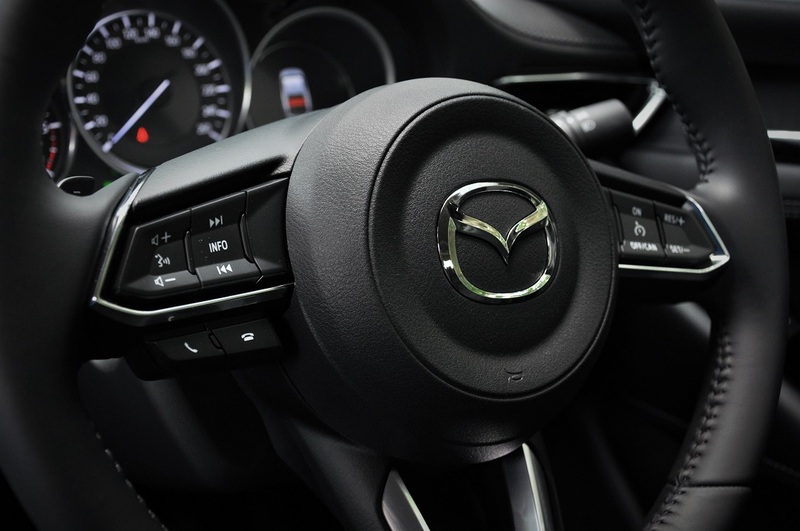 Further, for the convenience of the rear passengers, Mazda has placed two 2.1A USB charging ports in the rear armrest (in addition to a small tray area and integrated cup holders), signalling that this small Japanese automaker is in tune with the times. 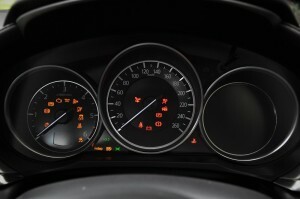 For the driver, he/she gets a coloured head-up display that helps to keep the eyes on the road. The 8″ display atop the dashboard is part of the MZD CONNECT infotainment system and the functions can be accessed via the touchscreen, rotary knob or voice. 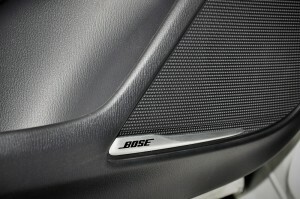 An 11-speaker Bose system supplies the aural entertainment. 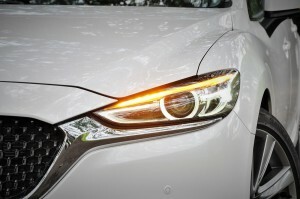 Propelling this sedan is Mazda’s 2.2L 4-cylinder SkyActiv-D diesel engine with a two-stage turbocharger, paired with a 6-speed SkyActiv-Drive automatic transmission with manual override. The powertrain produces 188 hp @ 4,500 rpm and maximum torque of 450 Nm from 2,000 rpm (an increase from the pre-facelift’s 173 hp and 420 Nm). 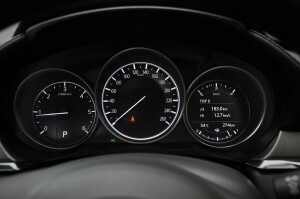 Fuel consumption is officially 5.2 litres per 100 km. 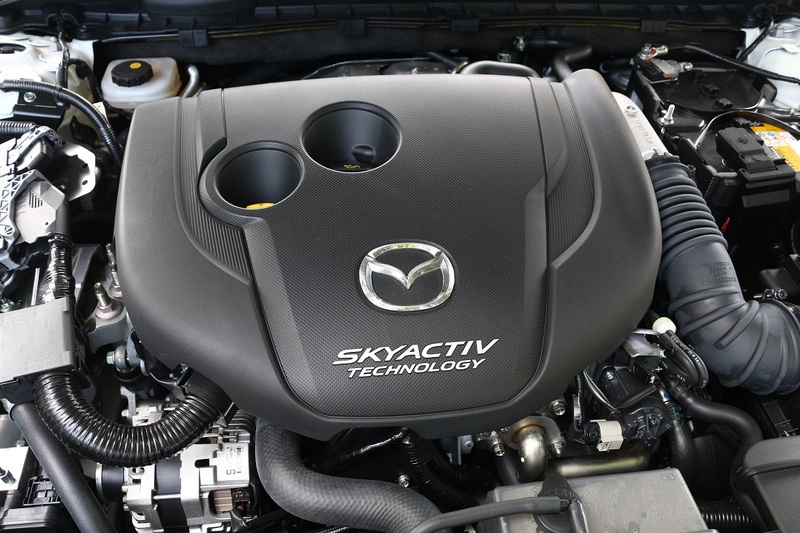 FYI, the SkyActiv-D has the lowest compression of any mass produced diesel engine (14:1) for better air-fuel mix and as a result, meets emissions standards without the need for NOx after-treatment. 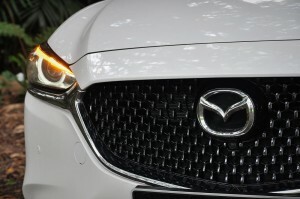 Reducing the compression ratio also allowed for a more lightweight engine construction. 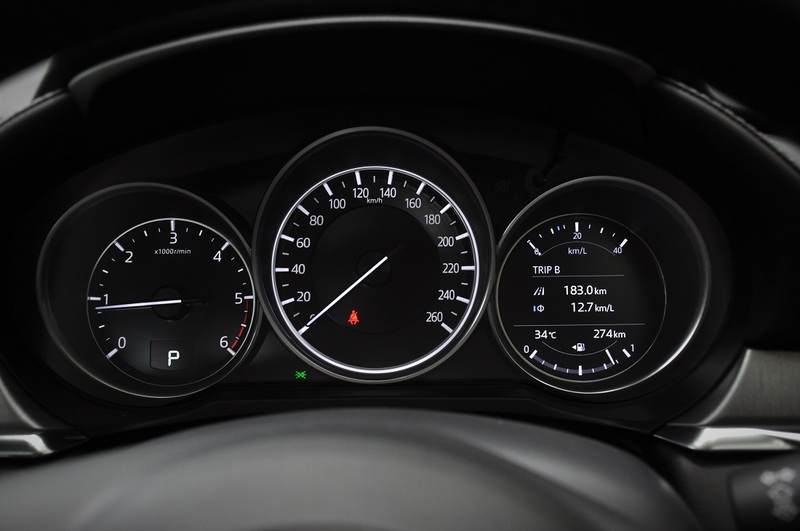 Further, the multi-hole Piezo injectors can control the amount and timing of fuel injection more precisely. Mazda’s patented variable valve lift technology also helps recirculate hot exhaust gases back into the combustion chamber to enable faster warm-up. 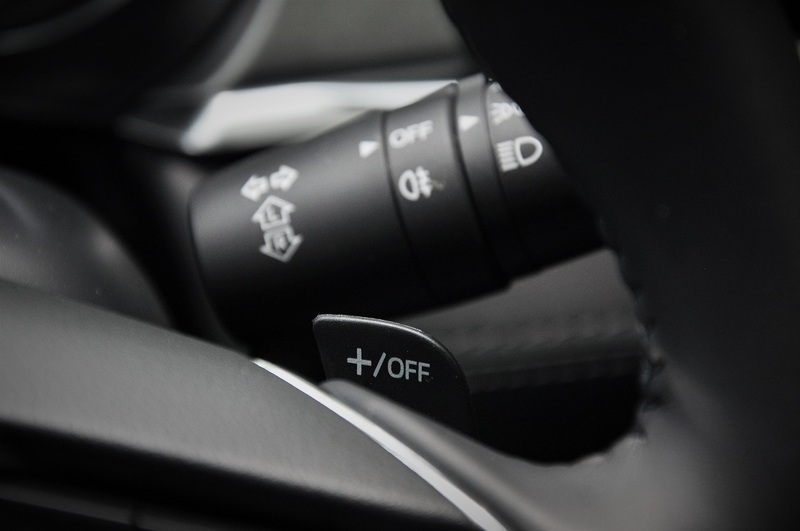 All that technical improvements to the diesel engine result in smoother, more linear acceleration and better fuel efficiency. 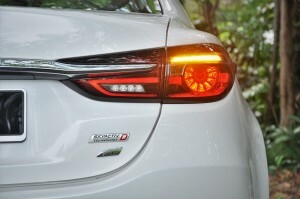 At low speeds, the engine produces higher torque while at higher speeds, more power. 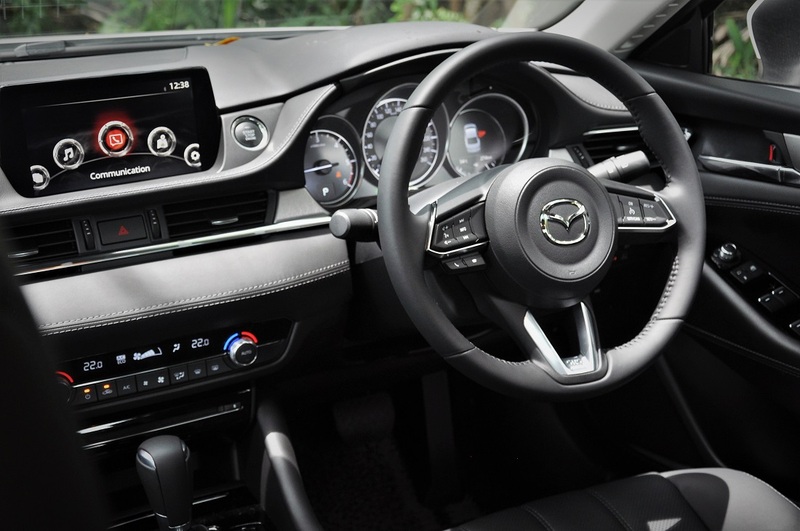 Mazda’s passion for motoring is seen through its Jinba-Ittai mantra which is the symbiosis of car and driver akin to a horse and rider. The vehicle dynamics of this new 6 has been improved with redesigned suspension and reinforced chassis bracing. 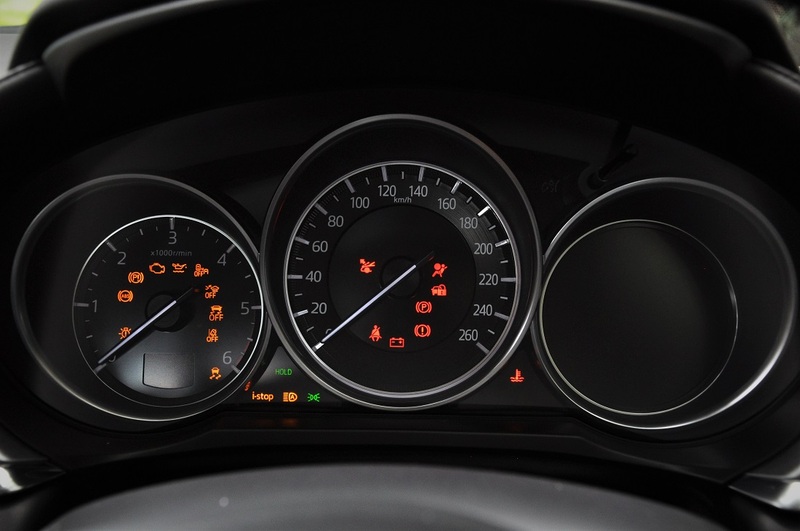 The car turns with a reassuring level of stability even at high speed. 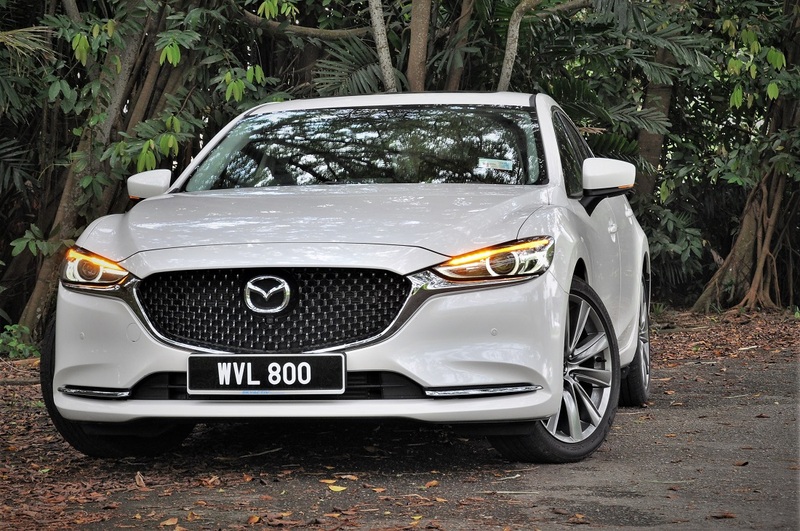 The car also gains the benefit of Mazda’s GVC (G-Vectoring Control), an electronic aid that briefly cuts engine torque based on the car’s speed and steering input to improve handling and ride quality around corners as well as on straight roads. This results in less body roll felt by the occupants. 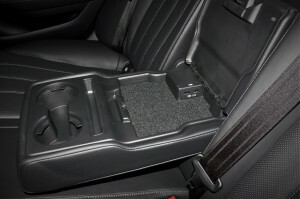 The system also constantly makes micro corrections on a straight road which reduces the work done by the driver and thus reduces driver fatigue on a long drive. 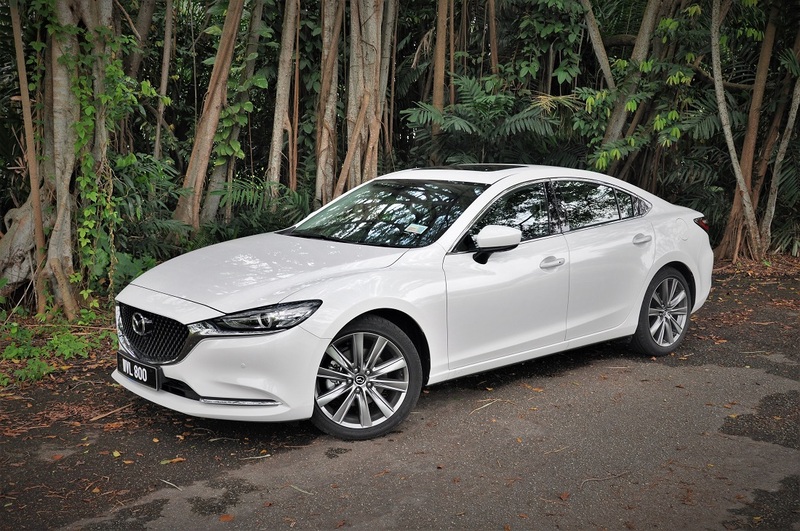 The SkyActiv-Drive gearbox may sound like a marketing label but Mazda claims that it has taken the best features of the conventional automatic, CVT and dual clutch transmission and built them into one gearbox, resulting in improved shifting behaviour and fuel economy. 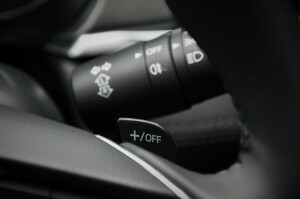 This will probably be missed by most drivers as you can hardly feel it going up or down the gears. The paddle shifters come in handy when you yearn for some spirited driving. 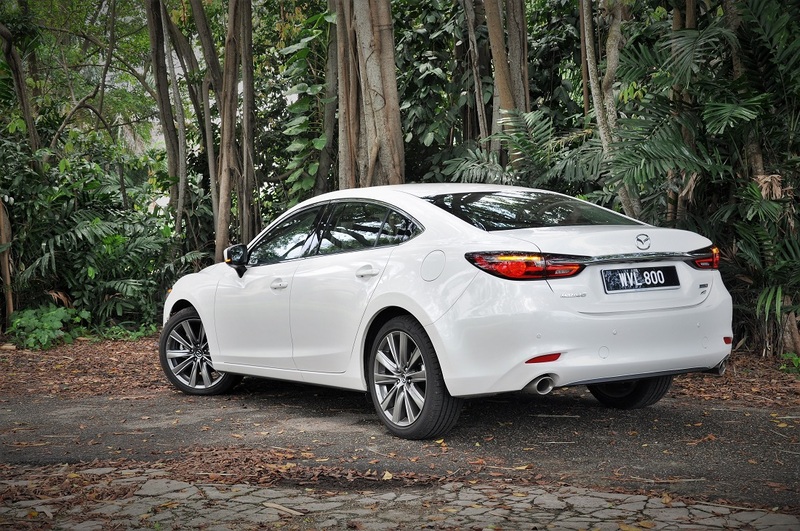 Diesel vehicles are known for its maximum torque delivery at low engine speeds and this 6 is no different. 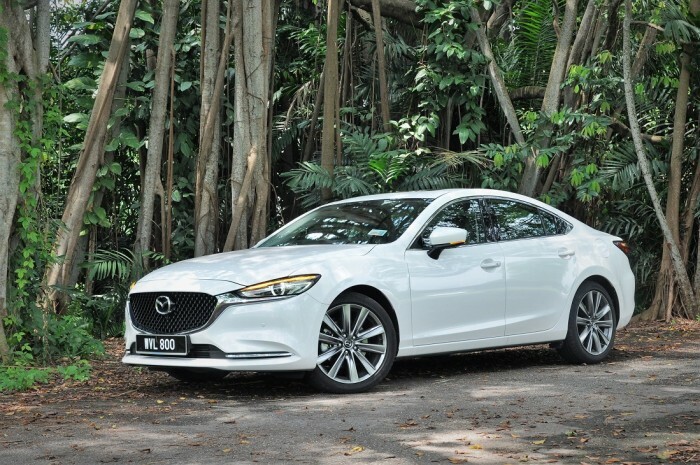 But rather than brutal neck-snapping acceleration, the 6 gets up to pace in a refined manner befitting its premium sedan status. 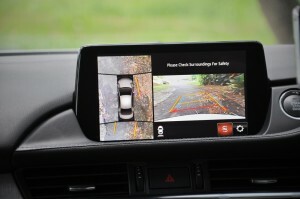 Other driving aids include the 360° view camera to aid parking and low-speed manouevering, Dynamic Stability Control, Traction Control, Hill Launch Assist, Blind Spot Monitoring, Lane Keep Assist, Lane Departure Warning, and Driver Attention Assist which learns your driving behaviour at speeds above 65 km/h and sounds a warning when abnormal driving patterns are detected. Additionally, Smart City Brake Support has front and rear sensors which helps prevent low-speed collision. There are also six airbags, if that’s important to you. Diesel-powered sedans are unconventional in this market, as buyers didn’t take to them like the Europeans. 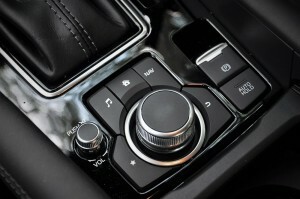 This is partly due to the quality of our diesel as well as the perception of what a diesel vehicle stands for. With its SkyActiv-D engine, Mazda wants to play a different card, offering an oil-burner that doesn’t behave (or sound) too differently from a petrol version but with frugal fuel benefits. And with an increasing number of stations offering Euro 5 diesel, buying a cleaner-burning diesel car becomes a more attractive proposition, particularly if you are one who takes frequent long distance trips. 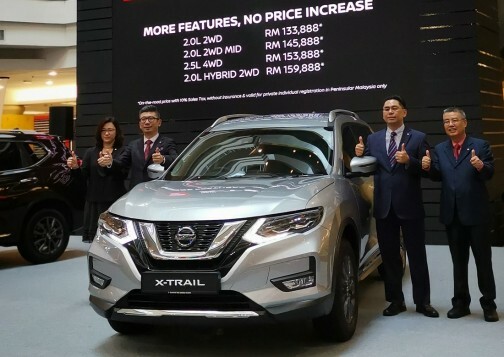 The car is priced at RM197,401 (on-the-road before insurance and sales tax). 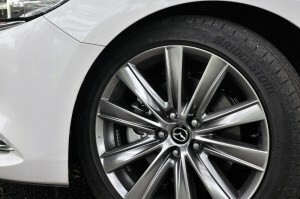 Included are a five-year/100,000 km warranty, as well as a three-year/60,000 km free maintenance package. 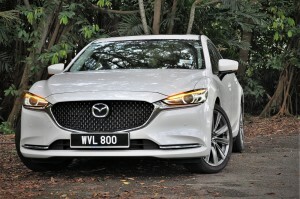 Do remember to check out the video review by YS Khong below the image gallery.